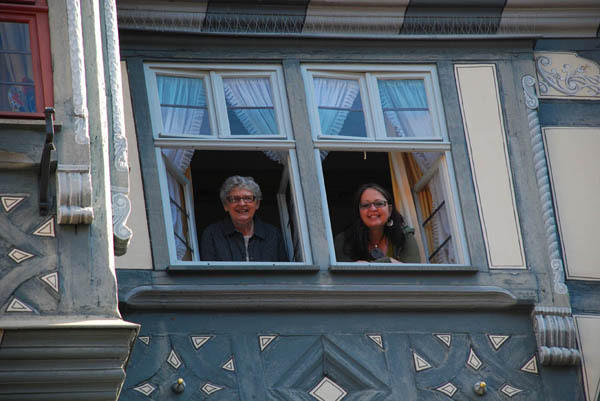 Jane Williamson and her daughter Rachel Hernandez arrived on September 2 in Frankfurt to start their two-week journey around Germany. This has been a dream of Jane’s for a long time. She is on her first ever European trip, and just had her first ever trans-Atlantic flight. There will be many more “firsts” for Jane over the next two weeks. 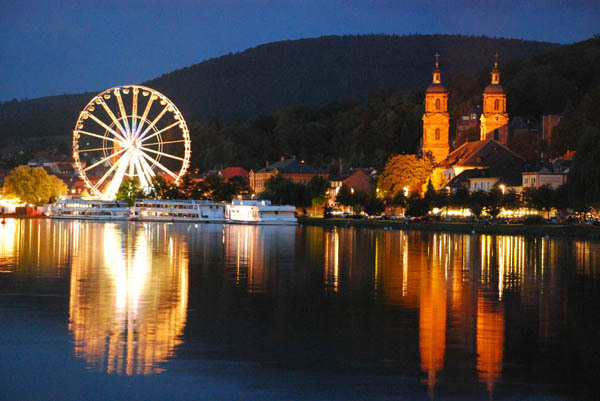 Stay tuned to follow along on the journey back to Jane’s ancestral roots in Lippe-Detmold and Broistedt, Germany plus all of the “just for fun” places we will be visiting. An architect from Bensheim saved the landmark from being torn down in 1970. The short-sighted people on the town council at that time had decided that it was too decrepit to save and they wanted to erect a bank there. 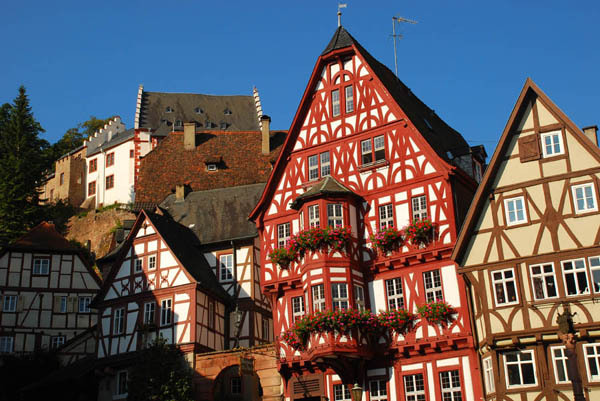 Had they done this, Miltenberg would not have been "on the map" and would have subsequently lost hundreds of millions in tourist revenue. Our first night was spent in the half-timbered town of Miltenberg am Main, upper Bavaria. 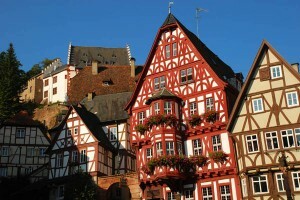 We stayed in Germany’s oldest inn, the “Riesen,” or Giant. 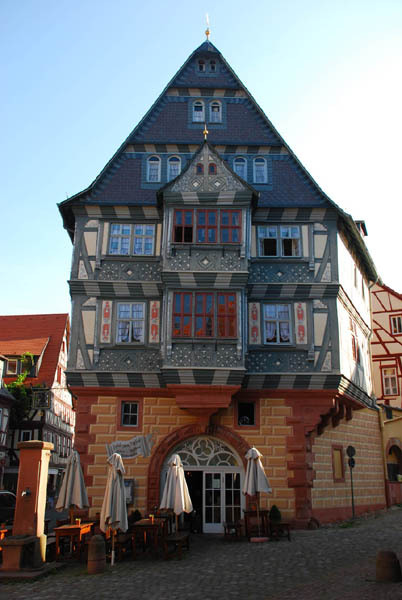 This venerable hotel was built in 1590 on foundations dating back to the 1100s. 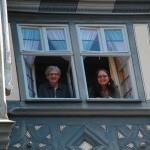 Among those who have stayed here are Emperor Friedrich Barbarossa, Empress Maria Theresia, Martin Luther, Elvis Presley and of course, Jane and Rachel. 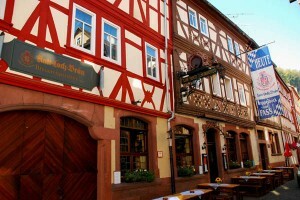 Our first dinner in Germany was at our favorite Gasthaus, the Kaltloch Brewery, located about a block west of Miltenberg’s picture-perfect market square. 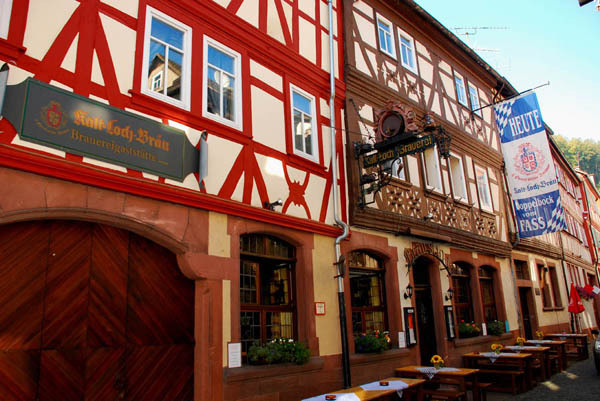 This brewery has been in existence since 1580. 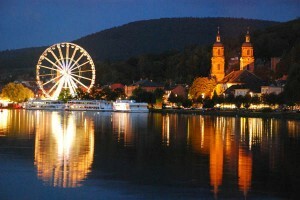 Posted in Germany Tours and tagged main, miltenberg, riesen.